The year is 1902. 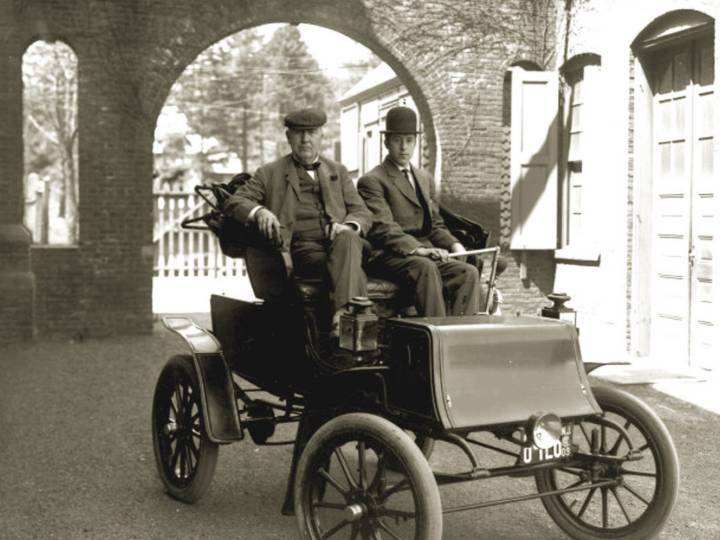 Here’s the Wizard of Menlo Park, inventor-extraordinaire, Thomas Alva Edison in his electric Studebaker horseless carriage. This photo was taken at his East Orange, New Jersey laboratory. The year is 1941. 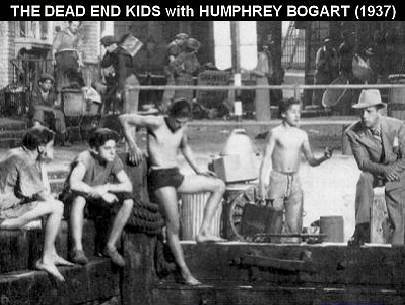 I can’t look at a photo of the New Yor City docks without being reminded of the Dead End Kids aka The Eastside Kids aka The Bowery Boys of B-Movie fame. 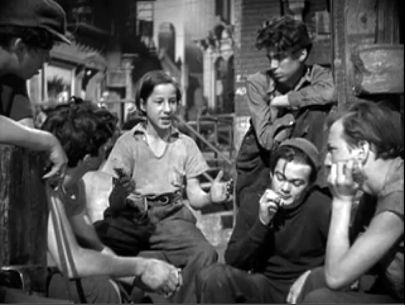 When they’d be on the run from the cop on the beat – usually for stealing apples – the city docks would be their hangout. 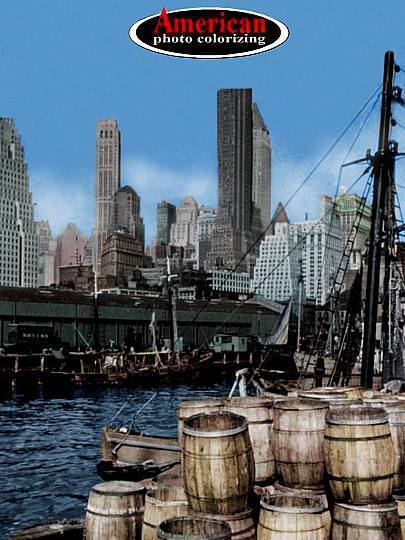 Most of our colorized images are sized to conform to certain dimensions for easy framing. To accomplish this task, I added extra sky to the image prior to colorizing. This also creates a scene that is more evenly centered. I chose the colors for this colorization, based on the general appearance of New York highrises of the period, and on color tones that were typical for early 1940s color film. All that’s missing are the sounds of ship horns and tugboat whistles – and perhaps Leo Gorcey yelling, “Chickie, the cops!”. The year is 1915. 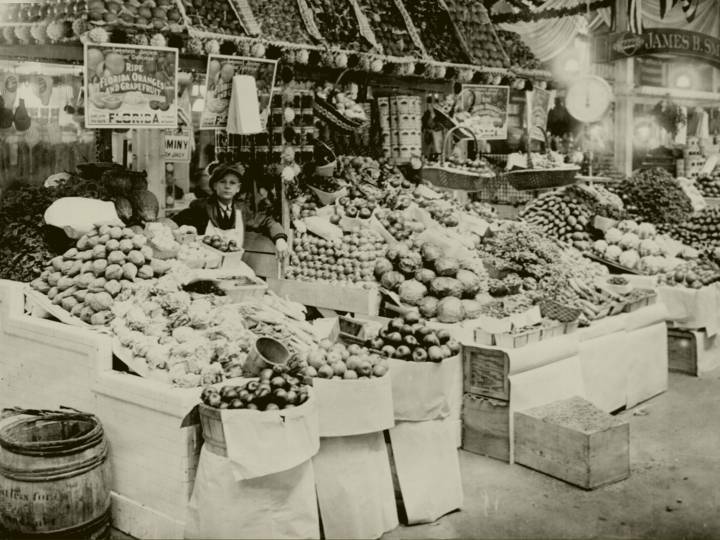 It was 99 years ago this month that a young lad posed with the produce in Washington, D.C.’s Center Market. The market was constructed in 1871 at 7th Street and Pennsylvania Avenue NW. Sixty years later, in 1931, the Central Market was replaced at the location by the Nation Archive. The year is 1863. 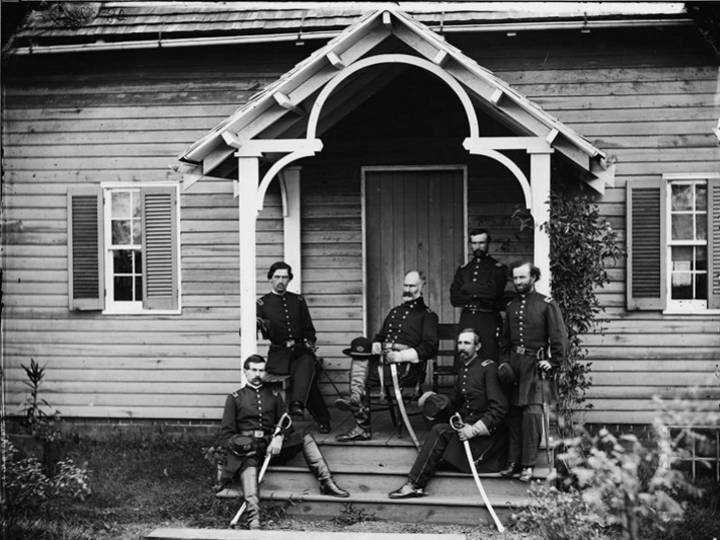 Union General Marsena R. Patrick (center) was the provost marshal for the Army of the Potomac. 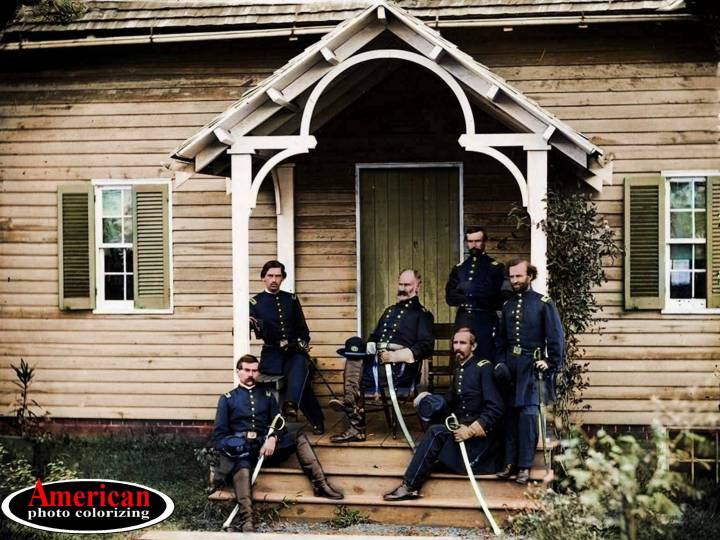 Here, he poses with his staff in Culpepper, Virginia. When the Civil War ended in 1865, Patrick returned to a successful career in agriculture, as president of the New York State Agricultural Society, and as a state commissioner. Later, he became governor of the central branch of the National Home for Disabled Volunteer Soldiers. 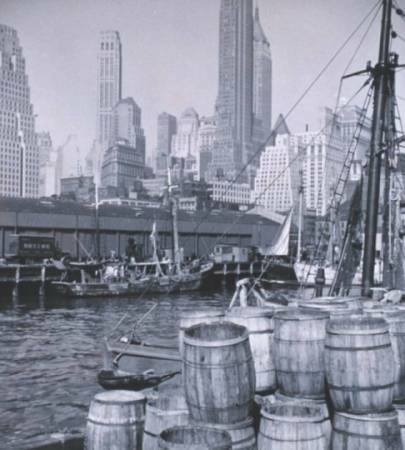 This photo is a another great example of how an excellent original photo will yield a superior colorization. The year is 1880. Red Cloud was a great chief of the Oglala Lakota aka the Oglala Sioux. The tribe was located primarily in Dakota Territory, but could be found as far west as Wyoming. And that is where this photo of Red Cloud was taken in 1880 – at Fort Laramie, during reservation life. The question often arises, “How do you pick your colors?”. Those who look at photo colorizing as “child’s play”, assume we just pull colors out of thin air. 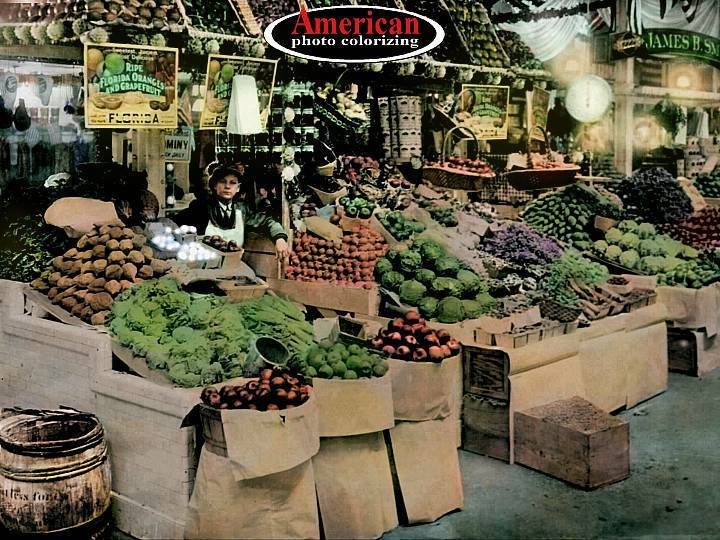 At American Photo Colorizing – nothing could be further from the truth. 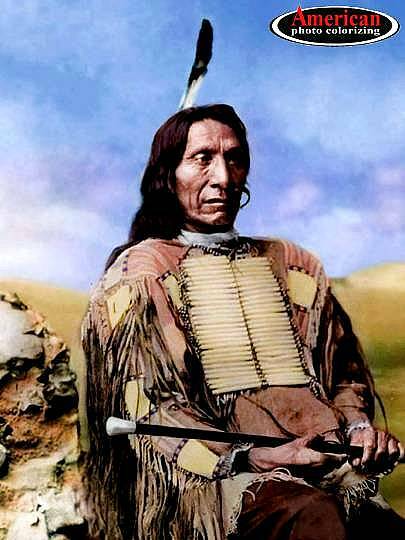 For example, in colorizing this photo of Chief Red Cloud, two hours of research went into determining where the photo was taken, and what colors were correct for a Lakota chief. 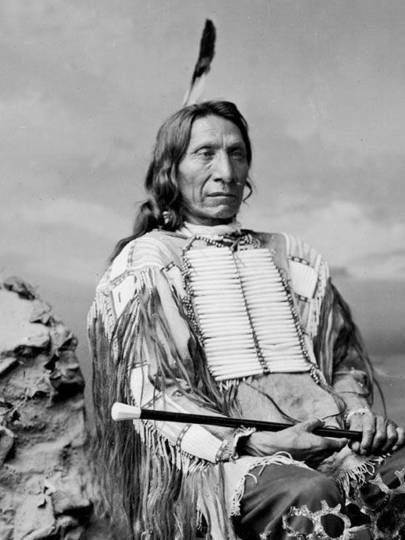 In conducting this research, I went straight to the head sources – including the website of the Oglala Sioux Nation (yes, Native Americans are techies, too) – and located several 1870s-era Oglaga Lakota men’s shirts, from which I matched colors for Red Cloud. This is pretty much how we determine color detail here at American Photo Colorizing.com. In 2009, we were commissioned by the Native American awareness organization, “Redbirds Vision” aka “Redbird” to create a promotional video for their annual powwow in Southern California. Redbird is involved in educational efforts, environmental preservation work, genealogy research, and issues that affect the Native American community. Here is the video we created. The year is 1955. Could be Ward & June Cleaver. Perhaps Jim & Margaret Anderson. 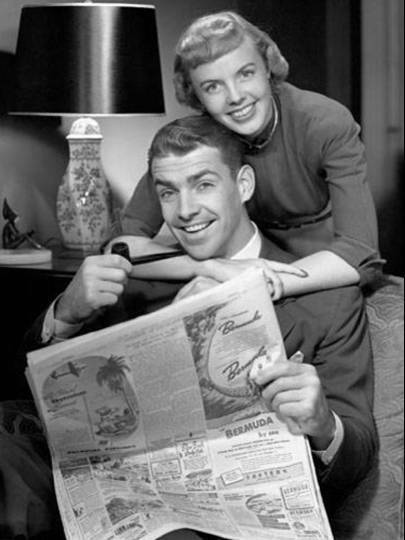 Could be just about any white, middle class, suburban couple in the 1950s. One thing is certain – they look “swell”. 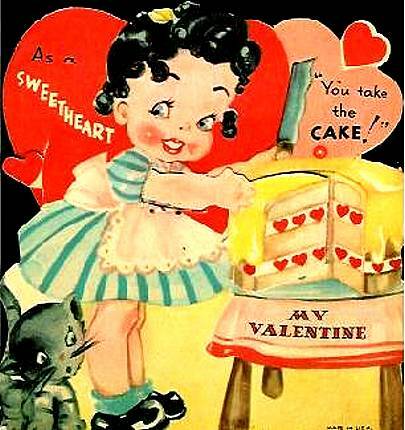 So, this is our little retro Valentine greeting to all of you. 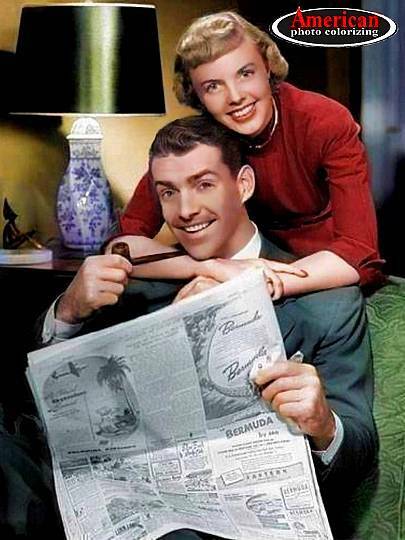 Happy Valentine’s Day from American Photo Colorizing.com. The year is 1860. Today is Abraham Lincoln’s 205th birthday. Despite the accusations made by historical revisionists, I consider Abraham Lincoln to be a great American president. Did he take radical measures during his presidency? Sure. But he held the nation together – a nation that was being torn apart at the seams. This is certainly Lincoln’s greatest accomplishment. We can debate his gradual transition to finally abolishing slavery – but the fact is, in the end, he did abolish it. Then, in the closing days of the Civil War, against intense political opposition, he advised the North to forgive and welcome the South back into the Union. It would seem that Abraham Lincoln was chosen by God “for such a time as this”. So today, in commemoration of his humble birth, I dedicate this colorized image. 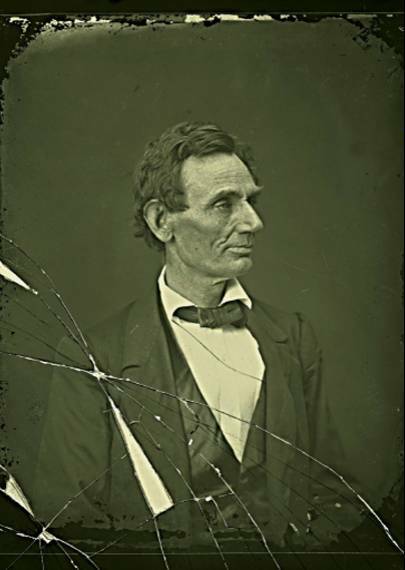 On an artistic, photographic note – as you can see, this image of Abe Lincoln, from the Library of Congress, is seriously damaged. One of our goals here at American Photo Colorizing, is to see our colorized version also be on display at the Library of Congress, the National Portrait Museum, or the Smithsonian. 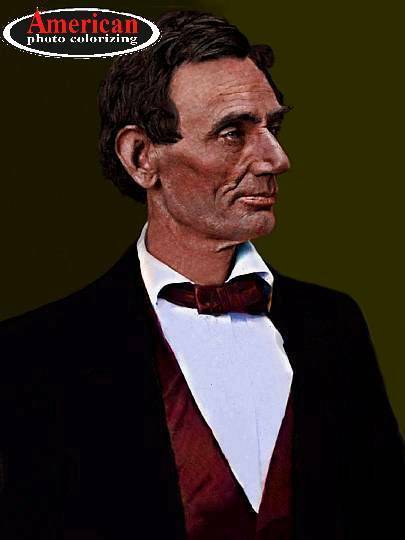 It’s time for the American people to see Lincoln as he appeared in real life in 1860.